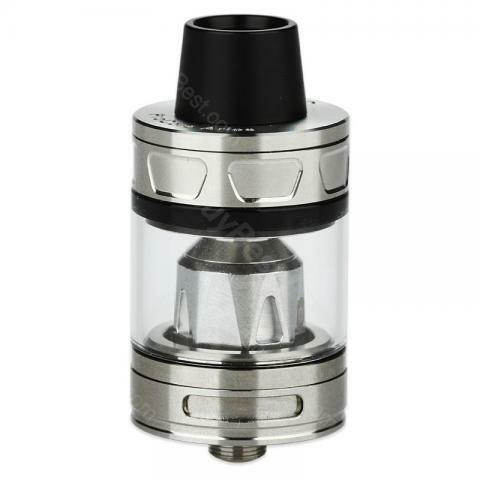 Joyetech ProCore Aries Atomizer with 2ml/4ml e-juice capacity and 25mm diameter. It has a creative flip type top-fill design enables it to easy refill the e-juice. It supports both MTL and DL. Joyetech ProCore Aries Atomizer with 2ml/4ml e-juice capacity and 25mm diameter offer a different choice. It has a creative flip type top-fill design enables it to easy refill the e-juice. It makes big vapor and pure flavor when you use it. It features detachable structure for easy operation. The ProCore Aries sub-ohm Tank compatible with ProC series coil head, and it not only supports direct lung but also support mouth to lung. 5 colors will surely satisfy you. • Compatible with ProC1/ProC1-S/ProC2/ProC3/ProC4 heads. Everything came quickly, packed well no chips of dents. But the main and spare evaporators were heavily spat with liquid. I had to buy one evaporator separately. A fantastic e-cig device for who wants to start to vape. Love this Joyetech ProCore Aries Atomizer, would recommend this to my friends.